‘The Bitter Lemon Digital’ is HERE! Happy Friday! Wow, it has been quite a week here at The Bitter Lemon! I’ve signed more new clients, helped launch an Austin newsletter, taught a private blog class, and l’m announcing today that I’ve opened a second Etsy Shop: The Bitter Lemon Digital! The Bitter Lemon Digital sells digital products to help its customers create and expand their brands online. This means I’m selling digital designs (mostly custom, branded) for Instagram, Twitter, Facebook, blogs, logos, etc. I have had a lot of fun in the last year or so creating all of these things for my own blog and social media profiles, and have made some for clients as well. I’m going to be adding some bundles to put in the shop, so if you’re in need of several branded files, you’ll be able to save some money. Of course, if there is something that you need that you don’t see in the shop, you can always message me and I can create a custom order. Since the store just launched, I am still adding lots of new things and those should be rolling out in the coming weeks. This store is just one of several things on my “Business to-do” list… on top of get faster internet at home. This is the first week that I’ve really had enough work to fill way much more than 40 hours, and a very, very slow internet has me working on one thing, while cleaning my kitchen as I wait for a webpage to load. So, I’ve spent more than half of the week at the library using their WiFi, and it’s also made for several late nights. And while I know busy days and late nights are a reality for many solopreneurs, I also know that efficiency is a necessary part of succeeding on this path. I feel very lucky to have had the success I’ve already seen, and I’m honestly struggling a little bit to take it all in. I can’t believe it’s not more difficult; I can’t believe there are new jobs in my email every single day, without me ever attending a networking breakfast or anything. I’m really thankful to everyone who’s hired me so far; I have such a diverse plate of clients and work, and it means so much to me that I’m able to use my skills to help other people tell their stories and expand their businesses. Wednesday was my first day working for Inside, as I as hired last week to be the writer for Inside Austin – a news-based email newsletter that currently goes out on Tuesdays and Thursdays (but will likely become Monday-Friday). It’s a remote job, which works perfectly for me, but it’s structured enough to be reliable and it gets me back in the groove of news writing. Honestly, it’s something I didn’t really know I missed until I hunkered down in the library Wednesday night and got to typing. My stomach was in knots when I handed over (okay, emailed) my first draft on Thursday morning – it has been quite awhile since I’ve been edited in this way. I’ve had some ROUGH editors, but I know I’m a better writer for it. And I know this job will sharpen my skills even more. Plus, it gives me the opportunity to share all the best news about the city I love! If you want to sign up for the newsletter, the next issue goes out on Tuesday. Wednesday night, I was invited to host a private blog class for five women, and I just had the best time! They were fun, and excited to learn about blogging, each for different reasons. I’m going to be working with them over the next four weeks, and I was really humbled they have invited me into their homes to share something I’m so passionate about. Just another week in the books! I’m going to try and get some rest this weekend, but I’m also signed up for two dance classes and two yoga classes, and my hair is in much need of a cut and color, so that’ll be happening. I hope you guys have a great day and a great weekend! Cheers! 3 Things I learned from ‘Surviving R. Kelly’. 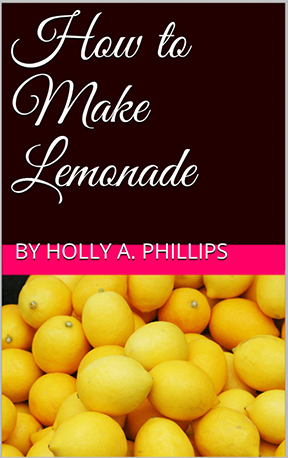 Holly, thank you so much for sharing your self-employment journey on this blog. I am planning on leaving my FT job in the near future to try and make a go of freelancing again (for the second time), so it’s encouraging to see someone doing it very successfully, and through writing/editing/etc. If possible, can you share a little more about how you’re finding clients in a future post? How did they hear about you? Wow, thank you SO much! Congratulations on your decision! This is my second try at it and I failed miserably the first time. I will definitely write a post on this! To give you a little info now, if you’re not using Upwork, make a profile immediately. That’s where I get 70% of my clients. Another thing I’ve quickly learned is to TELL people what you’re doing. It sounds really simple but you’d be surprised how many people either need your services, or know someone who does. Thank you so much for your kind words! Okay, that’s fantastic advice, thank you so much!! I too failed miserably the first time, and blew through half of my life savings in the process…. Thank you again for showing us that this can be done! !